4grace355 has no other items for sale. Make your lawn the envy of the neighborhood with the 2nd Generation Rachio 8-Zone Smart Sprinkler Controller. This Wi-Fi-enabled controller allows you to set your own watering schedule from your smartphone, tablet, or computer. Weather patterns are continuously tracked and sprinklers are adjusted accordingly, cutting up to 50% of your outdoor water usage. 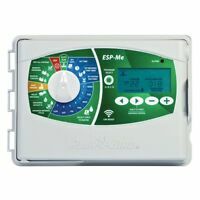 This sprinkler controller is EPA WaterSense certified and is compatible with most smart home devices. Had this installed for several weeks now. Very intuitive. Connects with a local weather station wirelessly and adjusts watering based on projected weather incoming. Installation was crazy easy (and I hate installing most things). I was moved to a "seasonal shift" today as indicated on my phone. Automatically waters for a bit longer during very hot periods (90 plus degrees daily here). Yes, it costs more than a traditional controller, and it is a fantastic value. when a product is exceeds your expectations, then you have to say something. I bought this rachio sprinkler controller to make scheduling easier, since my sprinkler controller is in my basement. not only is it very easy to program from my phone, but it actually checks the weather prior to each schedule, and if its going to rain, it will alter or skip that day's schedule based on the info it retrieves from the internet. its so much more than a simple controller, since my original controller could only stop that day's watering if it was actually raining at the same time. Works exactly as they say. Simple to install and set up. I also bought the outdoor box for an outdoor installation. As there was extra room around the 1/2 pvc pipe housing the sprinkler wires where the pipe goes into the box I added a 1/2 Southwire liquid tight connector and an appropriately sized nut on the inside of the box to hold it. It is now critter proof as my old box had the same issue and a mouse had taken up residence inside. 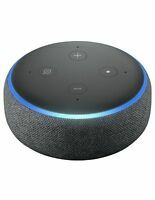 This unit was a little difficult to i terface with my Wi-Fi but once I finally matched it up, with the help of their customer support, it works great. The o ly cons about it is when you have a mix of plants on a station it's more difficult tto let the program determine a skip cycle. Also, I have a private weather station and I don't there's a way to i terface it with the controller. Other than that it's very i tuitive to set up and operate. And, it saves mo ey, which is why water districts offer rebates when you purchase ig. Would highly recommend.